A brief guide on Kodama in Nioh and what they’re used for. When describing Nioh's gritty samurai fantasy, the term “cute” seldom comes to mind, except when referring to Kodama. Kodama are the adorable, bowl-headed green spirits that inhabit your Shrine in Nioh. There will only be one Kodama hanging out at the Shrine initially, but there are many more to be found throughout the game and it’s up to you to discover each one of them. Kodama are dispersed throughout each mission map. They can be found sitting in alcoves, tucked beneath shrubs, or hidden behind glowing mushrooms and debris. When you find a Kodama, approach the small spirit and guide it back to your Shrine. The next time you visit a Shrine, the Kodama you found will be visible somewhere on the outside of the structure. Their adorable squeaking noises are also a good indication that a Shrine is nearby when you're trekking through uncharted territory. Kodama are more than mere collectibles. Each Kodama corresponds to a unique stat perk, known as a Kodama Blessing. Their different colored bowl hats signify the type of blessing an individual Kodama represents. 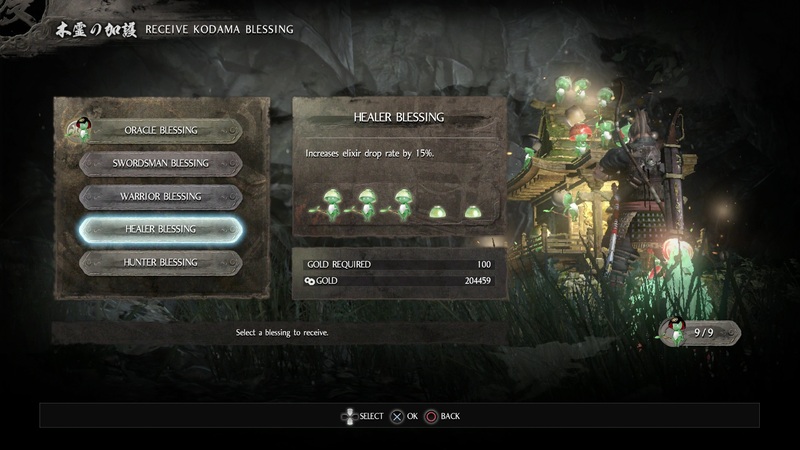 Pray at the Shrine, and open the Receive Kodama Blessing submenu to view which blessings you have available. The percentage value of a Blessing will increase as you find more Kodama of a particular type. For example, one Healer Blessing Kodama increases your Elixir drop rate by 5% when equipped. Finding a second Healer Blessing Kodama in the same mission will increase the Elixir drop rate to 10%, and so on. The more Kodama you find, the better your Blessing perk percentages will be. Blessings cost you a bit of gold each time they are equipped, but it's a cheap price to pay for better loot drops. Keep an eye out for these little green spirits on your journey, and be sure to revisit missions to collect any Kodama you may have missed. 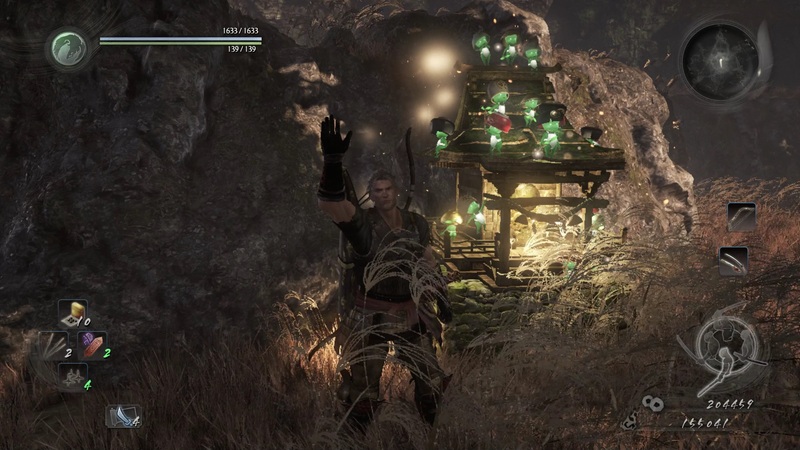 Since the Kodama locations in the Nioh beta demo are not final, we will create a guide in the future that explains where to find each Kodama once the full version of Nioh is released, so be sure to check back here for updates.